Our Beautiful Composite Doors are offered in a range of styles which have the look, feel and character associated with traditional wooden and timber front doors, whilst incorporating the impressive safe keeping and insulation properties of uPVC doors. It is this combination of style and beneficial features that have led to Composite Doors becoming increasingly popular in the UK for both front door and back door use. 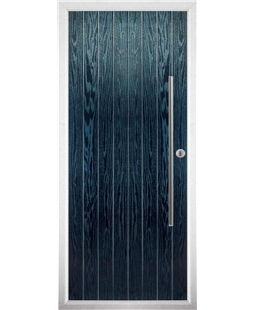 The Glass Reinforced Polymer (GRP) skin, that is compression moulded in order to create the realistic woodgrain effect Composite Doors have, is how these doors also get the name GRP Doors. The doors skin is impact resistant, UV stabilised and coloured throughout, all of which ensures that the attractive appearance of our Composite Doors remains with you as the years advance. All of our Composite Doors, that you can view on our website are created with security in mind so that you can go to sleep at night knowing your home is protected. The 44mm Composite Door panel is timber lined to improve rigidity and security, whereas the Yale Kitemarked anti-bump cylinder comes with a guard to prevent unwanted interference, such as snapping or removal. Both of which improve the security of the door. Once our Composite Doors are fitted, as well as improving the security and design of your home, these doors can also improve its thermal efficiency. Just like our uPVC Windows, the glazing within our Composite Doors is double glazed, as well the door being built upon a high insulation core. As a Composite Door manufacturer, we create external GPR Doors that will transform the look of your property. With over 30 different Composite Door styles, as well as a range of colours and glass designs, we have thousands of door designs to choose from. If your External Front Door requires a side panel then you should view our Composite Doors with matching side panel styles. 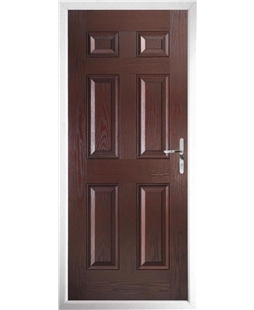 Besides Front Doors, we also have a range of popular Composite Back Doors in a range of designs, such as solid doors. All of our Composite Doors and their prices are advertised on our website, and best of all; the price you see quoted on every door includes VAT and for your new Composite Doors to be fitted by our professional installers. 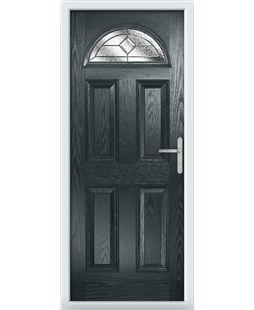 All of our front doors in our Composite Front Door range also come with a standard ten-year guarantee. Our Composite Door panels are available to buy in a choice of 11 standard colours and any RAL colour. To find out more about the colours our Composite Doors are available in, please click on a product and then on the colours tab. Why not save time and money? Why not buy your Composite Front Doors and uPVC Windows together form the same manufacturer and installer? Please Note: Irrespective of the outside colours these Composite Front Doors are all White inside. Our Aberdeen selection of Composite Doors combines a classical door design with contemporary composite technology. Sometimes called GRP Composite Doors, our Aberdeen Composite Doors, feature two symmetrical glass panels that can be fitted with a range of designs. The glass reinforced polymer skin is designed with performance and beauty in mind, adding style and improved thermal efficiency to your home. The Beautiful range also add extra pounds to your pocket, as these Composite Door prices are among the best in the industry. As each of our front doors is made to measure, you can be guaranteed that your new external composite doors, will not only look great, they will also fit your surround perfectly. What makes these composite doors so great is that they are low maintenance and will look like new for years to come. This Composite Door comes with a Yale Kitemarked anti-bump cylinder. 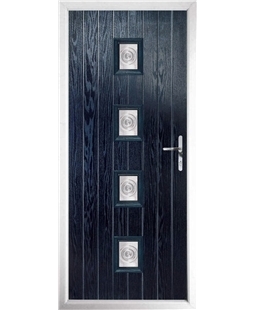 Our Composite Door can be fitted with a range of stylish accessories. 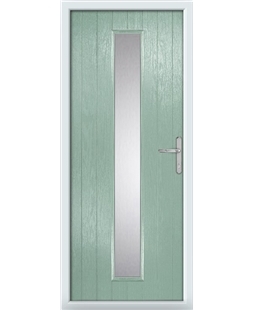 These Composite Front Doors are available in 11 colours and with thirteen different glazing options to buy. The Beautiful range offers you the chance to own the latest development in the external door market, with composite door prices to suit any budget. The only thing lower than the price is the amount of time required to maintain the door, an occasional wipe down with a damp cloth is all our front doors will need for years to come. It is not just our front doors that are included within the prices you see, our Composite Door prices also include the installation of your new door, as well as the VAT and a 10-year guarantee. Available in 11 great colours. The Cardiff collection in our Beautiful range of Composite Doors is for those who want a classic appearance, yet wish to take advantage of the latest developments in external front doors. The high insulation core means your door will keep your temperature up, and your heating bills down. 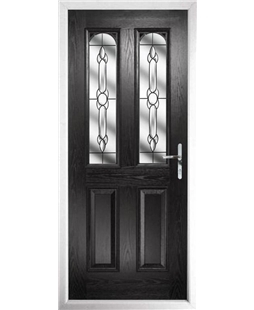 This Composite Door features two rectangular symmetrical glass panels that run alongside each other at the top of the door, and can be fitted with a range of glass styles. Composite Doors at a price you can afford? That's Value! Our composite door prices have been found by tens of thousands of customers to be the best in the business. And with installation, VAT and the removal of your old door included in the price; it’s no wonder we’re the nation’s favourite door company. The Derby range of beautiful External Composite Doors is perfect for those homes with sidelights. With one glazed aperture, heat retention is not an issue and with over a dozen glazing options to choose from; your perfect, personalised door is right on your doorstep. Traditionally a high end, luxurious choice; our prices allow everyone to enjoy the tangible benefits of GRP Composite Doors while appreciating the superior aesthetic pleasure they have over other varieties. These Exterior Doors come with three keys as standard. The Edinburgh Composite Front Door selection in our Beautiful range will suit those with a penchant for breathtaking glass designs. This is an exterior composite door with a large glass pane, designed to be welcoming from the outside and appealing, warm and friendly from the inside. Our Beautiful range of GRP Composite Doors is equal to many of the leading brands available in the UK. In fact, pretty much the only difference you’ll see is in our prices. The GRP skin on this Composite Door is coloured through, giving you extra protection against the appearance of nicks and scrapes on the door. 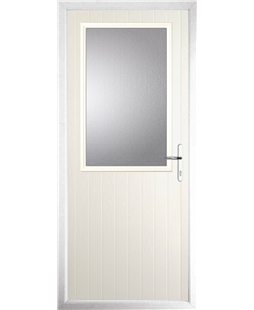 If you’re looking for an External Composite Door to bathe your hallway in sunlight, The Farnborough range is for you. With a glass pane almost half the size of the door, The Farnborough Composite Door allows your corridor or porch to be drenched in natural light, illuminating even the gloomiest of hallways. With a variety of door and frame colours, along with 10 different glazing designs – not to mention the different handle options, letterbox selection and backing glass designs – it couldn’t be easier to create your own bespoke composite front door. These Exterior Doors on average last for 35 years, usually just requiring a simple rub down. Two thresholds are available with these External Composite Doors, speak with your local installer to find out which is suitable for your home. 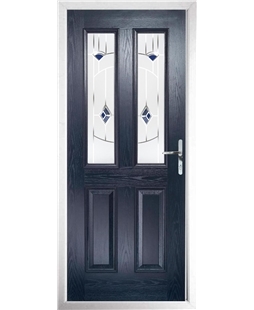 With three glazed apertures, The Glasgow collection in our Beautiful Composite Front Door set offers an elegant door design with traditional glazing patterns, culminating in a Front Door to be proud of. A Composite Front Door to be proud of, and to impress the neighbours with. Our Glasgow composite door prices are just one of the reasons this range is one of our most popular designs. Customers love the high quality wood-like finish on the 44mm GRP skin and the 3 glazed pane layout. 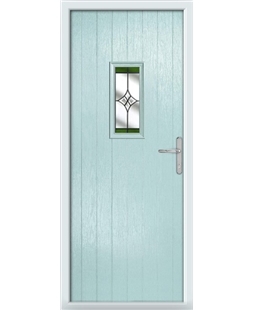 This Composite Door comes with a lever/lever handle configuration as standard, available in four colours. The Hull design in our Beautiful External Composite Door selection is a wise choice for those whose homes do not have a natural light issue in their hallways. It is also a door for those with additional security concerns. With no pane of glass to break for an easy entry; unwelcome visitors will be dissuaded from your home. Every door you see in our Beautiful Composite front door range is available with the ‘Secured by Design’ option, the Official Police Security Initiative. The 'Secured by Design' option for this Composite Door includes Yale anti-bump lock cylinders. These Exterior Composite Doors have through-coloured GRP skins, meaning any dents, nicks or scratches will be barely noticable. 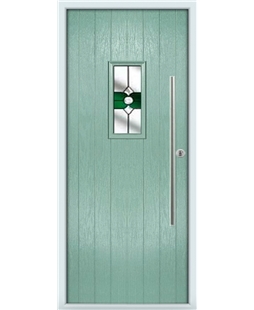 The Ipswich Composite Front Door range has two glazed apertures at the top of the door, almost performing similar duties to a toplight. 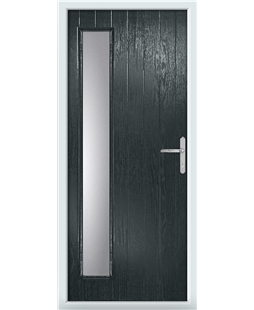 This style is a happy medium between our Style C collection and the Style H Exterior Composite Door. 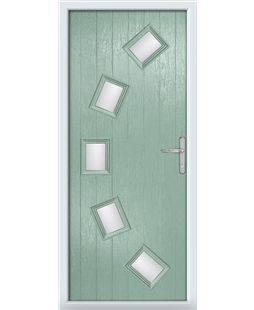 These Exterior Doors are available in seven colours and can be fitted on three different coloured frames. 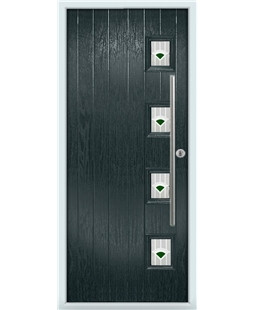 This Composite Door can be fitted with 13 different glazing options. The Jamestown range of Exterior Composite Doors match a classic door design with modern composite technology, occasionally called GRP Composite Doors. The glass reinforced polymer skin provides style and substance, with the skin giving a wood-grain effect to the door, while being impact resistant and UV stabilized. This means that your door will not suffer from discolouration. The GRP Composite Door skin has been coloured through, reducing the appearance of any scratches and nicks the door may develop over time. wood-like finish to on the GRP skin means you can enjoy the benefits of Composite Door designs while basking in the decorative nature of the door. Our Beautiful collection of Composite Doors offers you the opportunity to purchase the latest development in the Exterior Door market, with composite door prices designed for any pocket. These doors are also perfect for those with strict time constraints, as all the maintenance they require is a quick wipe down every six months or so with a damp cloth. This Composite Door has a life expectancy of approximately 35 years, surpassing uPVC Doors by approximately ten years. This particular door style features our new and impressive integra glazing bar system. The Leeds selection in our Beautiful range of Exterior Composite Doors is for those who value a classical door model, but want the latest developments in External Door technology . The high insulation core of the door will help you to keep your heating bills down all Winter. Our prices are regularly praised by customers, delighted with the up front and transparent nature of advertising our prices online. Remember, these prices include installation, VAT and the removal of your existing external door; just some of the reasons why we’re the nation’s favourite door company. This External Door contains a stable timber inner frame and a high insulation core. These Composite Doors are fitted with multipoint hooked locks and are available with a 'Secured by Design' option. 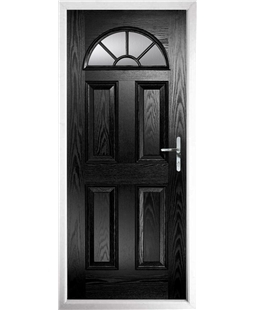 The Manchester model in the Beautiful External Composite Door selection is an excellent choice for people who have plenty of light cascading through their hallway or porch. With no glass panels in the door, your entrance will look sturdy and impenetrable to any unwelcome visitors. With rising energy bills becoming a concern for all homeowners nationwide, many are looking to insulate and improve the thermal efficiency of their home. A composite door can form part of that strategy, with the high insulation core aiding heat retention. 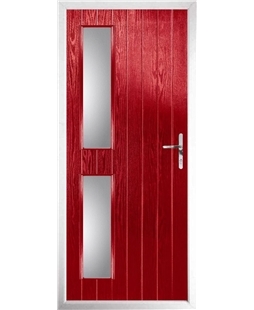 This Exterior Composite Door style is available in seven appealing colours. 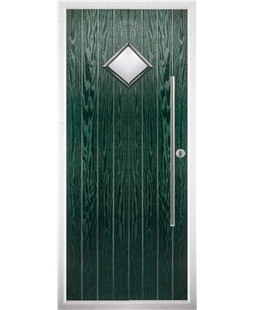 The Newcastle Exterior Composite Door design in our Beautiful range is a simple, traditional door, with the wood-grain effect on the GRP skin coming to the fore. 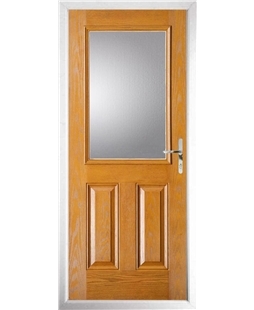 People will not be able to tell whether you have a wooden door or not, such is the quality of the finish. Looks can be deceiving, and The Newcastle Composite door definitely deceives. Despite its conservative, conventional appearance, this door utilizes the latest in composite technology with it being weather resistant, impact resistant and exceeding thermal efficiency requirements as per current Building Regulations. 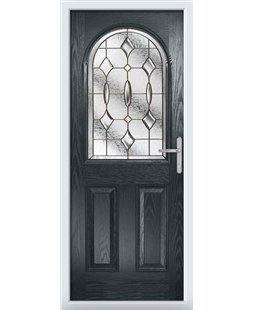 The Oxford Composite Front Doors have four glazed apertures which come with toughened safety glass as standard. A door with a time-honoured appearance, it is also virtually maintenance free, leaving you free to admire your exterior door; not maintain it. Our Composite prices are often considerably lower than our competitors uPVC Door prices, and The Oxford is no exception. In fact, our entire Beautiful range must offer the best value for money there is on the market! These Front Doors have a life expectancy of over thirty years, only ever requiring a wipe down with a damp cloth every once in a while. 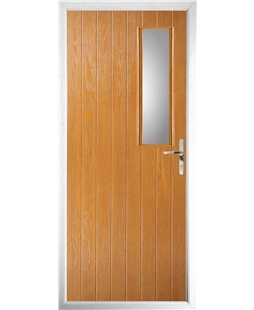 This Composite Door comes with adjustable hinges, available in two colours. 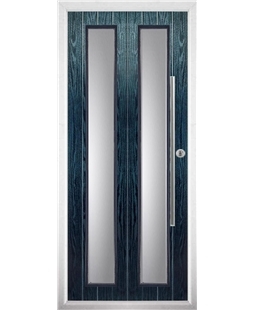 The Preston design is possibly one of our most Contemporary Front Doors available. With four toughened safety glassed cassettes along the edge, this is a door that demands attention from even the most casual of passers by. All of the prices we display on our website are fully inclusive of fitting, the removal of your old door, VAT and a ten year guarantee. With the average life span of doors in our Beautiful range around the 35 year mark however; we doubt you’ll need the guarantee! 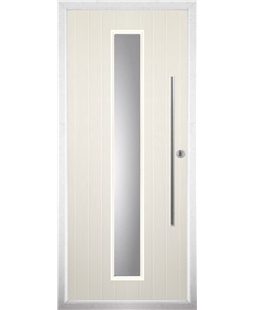 Three frames are also availavle for this Contemporary Composite Door; white, oak or rosewood. As the sizes of doors vary, we cannot guarantee every door handle will remain in the same position as on the image and the handle may cover the glass pane on your door. The door handle may move position depending on your door size, our images are simply a representation. The Queensbury selection of Composite Doors combine a classical door design with contemporary composite technology, sometimes called GRP Composite Doors. The glass reinforced polymer skin is designed with performance and beauty in mind, adding style and improved thermal efficiency to your home. The Beautiful range also add extra pounds to your pocket, as these Composite Door prices are amongst the best in the industry. 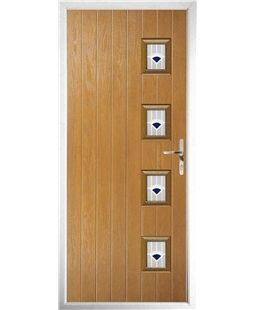 These Composite Front Doors are available in seven colours and with thirteen different glazing options. The Reading selection of Composite Doors combine a classical door design with contemporary composite technology, sometimes called GRP Composite Doors. The Sheffield selection of Composite Doors combine a classical door design with contemporary composite technology, sometimes called GRP Composite Doors. 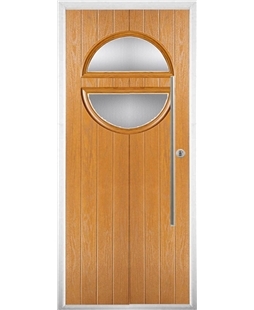 This Composite Door style comes with a Yale Kitemarked anti-bump cylinder. The Taunton selection of Composite Doors combine a classical door design with contemporary composite technology, sometimes called GRP Composite Doors. The Uttoxeter range of Composite Doors perfectly balances a classic door style with the modern, composite style of a timber effect skin. The GRP (glass reinforced polymer) skin on our Composite Doors is compression moulded to produce the realistic wood effect that makes the Composite Door look as good as it does. 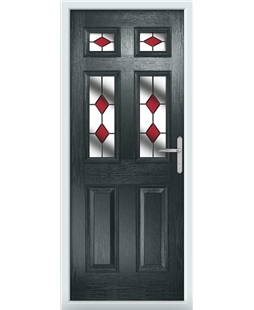 Combined with the 4-panel glass design, the Uttoxeter Composite Door makes a perfect new Front Door for any home. Our range of contemporary designs look great matched with our Composite Doors and are a step forward in the door world in terms of their styles and what they have to offer with security and thermal efficiency. We don’t believe in style over substance here at Value Doors and that is why our GRP skin also improves the thermal efficiency of your home, saving you money in your pocket in the long term. 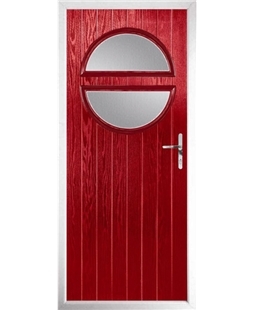 •	This Composite Door comes with a Yale Kitemarked anti-bump cylinder. 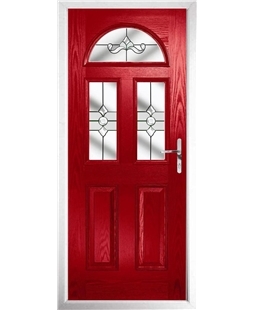 •	This range of Composite Doors come available in 11 colours and 35 different glazing options. The glass reinforced polymer skin is designed with performance and beauty in mind, adding style and improved thermal efficiency to your home. The Beautiful range also adds extra pounds to your pocket, as these Composite Door prices are among the best in the industry. 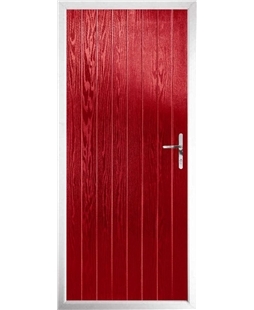 These Composite Doors are available in 11 colours. The London selection of Composite Doors features a large glass panel that will flood your home with light, whilst remaining secure and thermally efficient. Therefore, these doors are perfect for front or back door use. 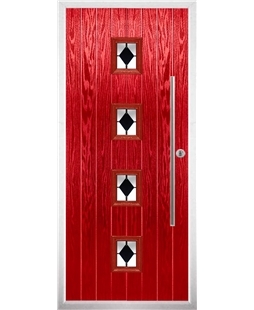 These Composite Front Doors are available in 14 different colours. Backing glass is available for those concerned with privacy. 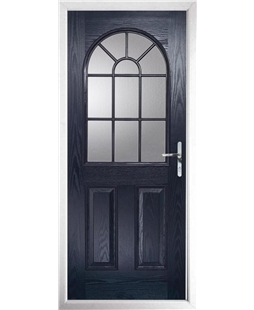 The Coventry selection of Composite Doors features a long rectangular glass panel that runs through the middle of the door. 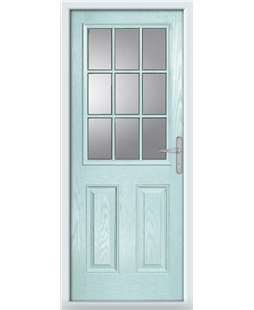 Although this panel is quite large, the thermally efficiency and security of this door is not affected in any way. 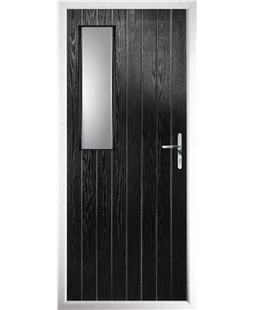 The GRP skin that these doors are manufactured with, is what gives our Composite Doors its realistic wooden look and feel, without any the disadvantages that wood doors are associated with. 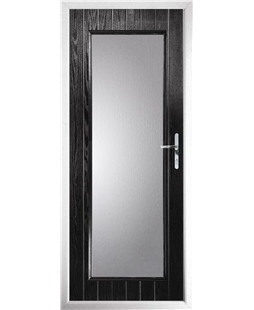 The Brighton selection of Composite Doors features two long rectangular glass panel that vertically down of the door. 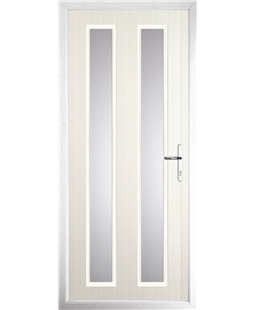 Although these panels are quite large, the thermally efficiency and security of this door is not affected in any way. 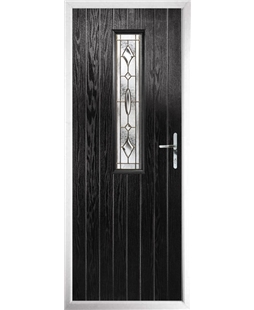 Our Whitby range of Composite Doors combines a stylish door design with contemporary composite technology. Sometimes called GRP Composite Doors, our Whitby Composite Doors, feature one vertical glazed panel which will help bring natural light into your home. 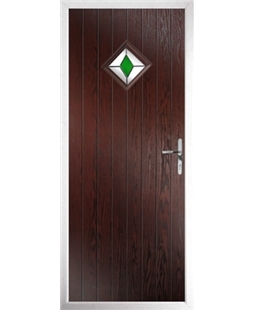 These Composite Front Doors are available in 11 colours. The Geeston selection of Composite Doors have been designed beautifully, they feature five glass panels set out in a semi-circle. These range of External Composite Doors will really give your property that extra wow factor! Our Composite Doors can be fitted with a range of stylish accessories. 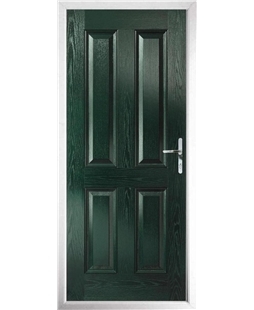 These Composite Front Doors are available in 11 different colours. 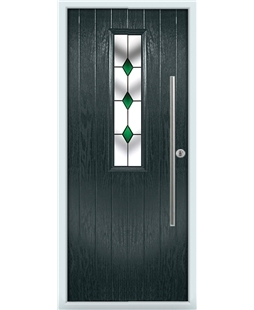 The Ameysford selection of Composite Doors have been designed beautifully, they feature one long glazed panel. These range of External Composite Doors will really give your property that extra kerb appeal! Our Sowerby selection of Composite Doors combines a classical door design with contemporary composite technology. Sometimes called GRP Composite Doors, our Sowerby Composite Doors, feature two vertical glazed panels. The Wolverhampton selection of Composite Doors combine a classical door design with contemporary composite technology, sometimes called GRP Composite Doors. The Verwood selection of Composite Doors combine a classical door design with contemporary composite technology, sometimes called GRP Composite Doors. The Xenia selection of Composite Doors combine a classical door design with contemporary composite technology, sometimes called GRP Composite Doors. The York selection of Composite Doors combine a classical door design with contemporary composite technology, sometimes called GRP Composite Doors. The Zetland selection of Composite Doors combine a classical door design with contemporary composite technology, sometimes called GRP Composite Doors. The Leicester selection of Composite Doors combine a classical door design with contemporary composite technology, sometimes called GRP Composite Doors. 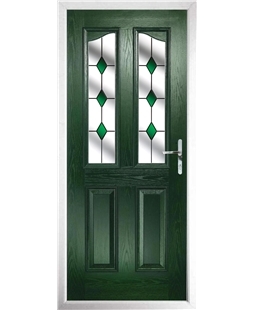 These styles of Composite Front Doors are available in 11 colours and with thirteen different glazing options. The Norwich selection of Composite Doors combine a classical door design with contemporary composite technology, sometimes called GRP Composite Doors. The Wakefield selection of Composite Doors features a large glass panel that will flood your home with light and has a stylish bar handle. Therefore, these doors are perfect for front or back door use. 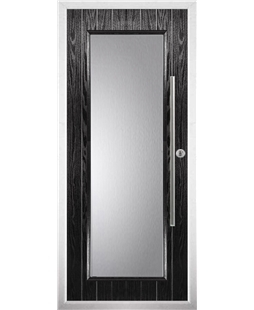 The Warwick selection of Composite Doors features a long rectangular glass panel that runs through the middle of the door and a stylish bar handle. Although this panel is quite large, the thermally efficiency and security of this door is not affected in any way. 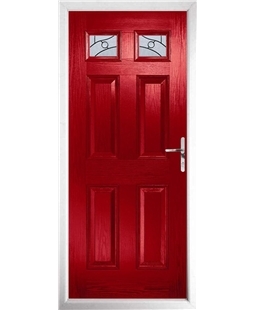 These Composite Doors are available in 11 different colours. The Bath selection of Composite Doors features two long rectangular glass panel that vertically down of the door and a bar handle. Although these panels are quite large, the thermally efficiency and security of this door is not affected in any way.